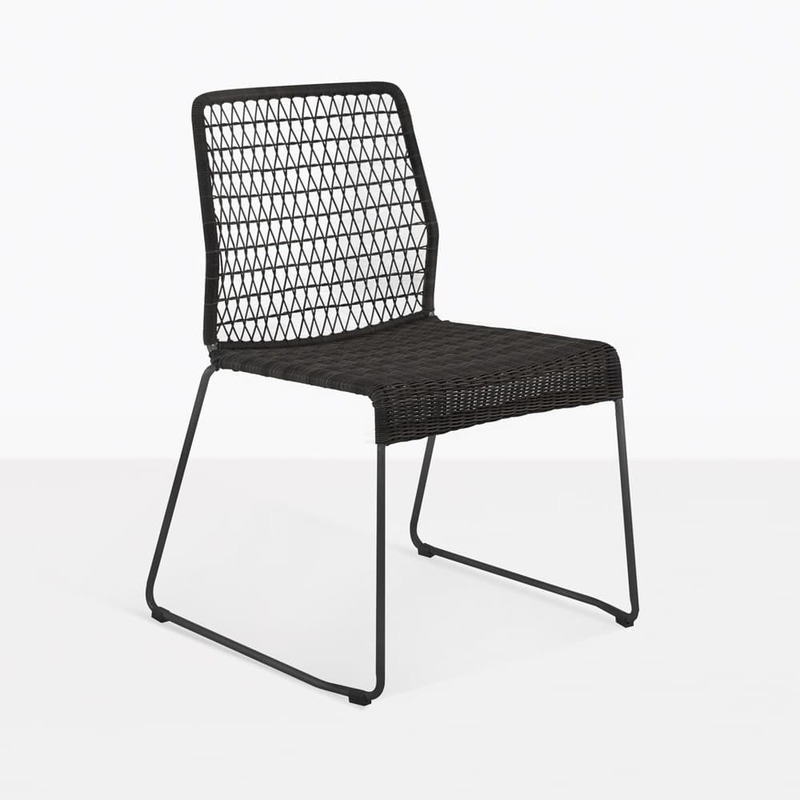 Clean, sophisticated and uncluttered, the Edge Wicker Side Chair (Black) has a tightly woven wicker seat over a thin, sturdy steel frame. Its back rest, which is more loosely woven, allows for air to flow more freely, helping you stay cool through the hot summer months. 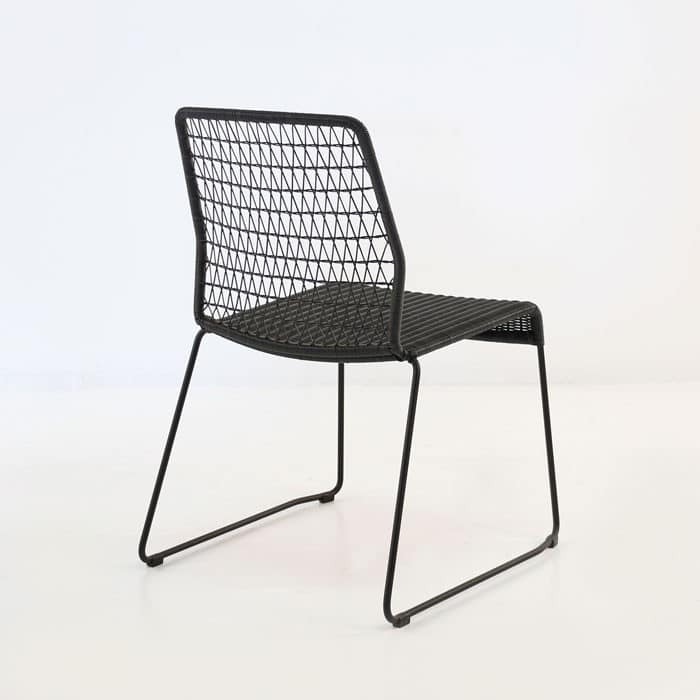 Without an armrest and small footprint, the Edge Side Chair has the versatility to be used for outdoor dining or just relaxing on your patio. Its galvanised steel frame is thin and lightweight, yet sturdy and resistant to corrosion. 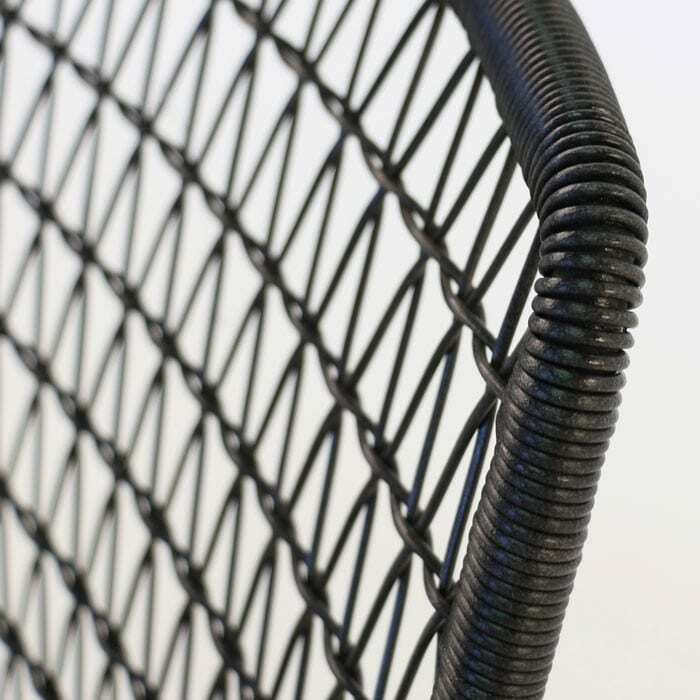 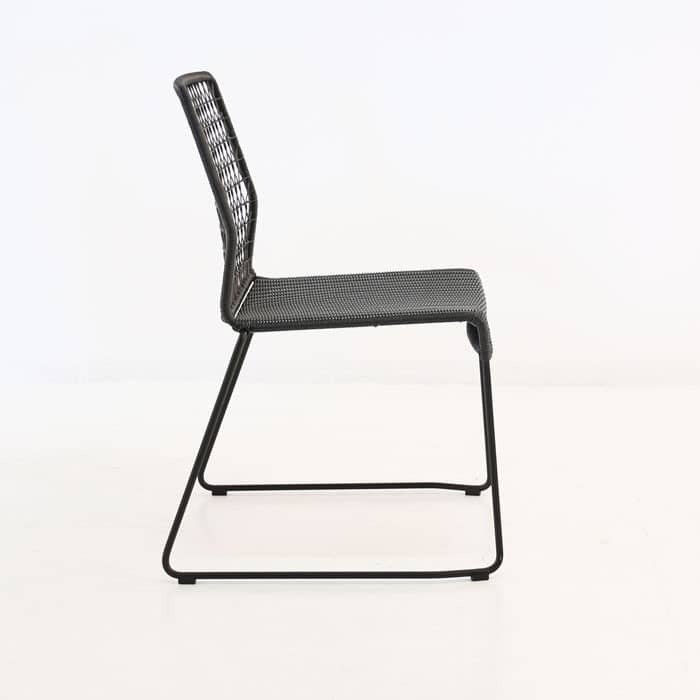 Made of durable, Ecolene synthetic fibre, the weave will not crack, splinter or peel and it’s UV resistant, retaining its natural colour and integrity during the chairs lifetime.